A human face is the most attractive thing you could show in a video. That’s why it is important to know how to show it properly in the video. And this blog post is exactly about that – how to frame a talking head. Our friends from FirstCut explain how to show human faces beautifully in your videos. Most of the videos that we are doing are probably human face on camera. This is because the human face is the most attractive thing for our viewers. But how do we get good quality talking head videos? Tip 1. The first thing you will need to decide is if you want to talk directly to the camera or off camera. Now, how do you decide this? Usually, you can base it on the content. If you’re doing how-to videos, demos, sales proposal walk-through videos, you want to be talking directly to your audience, directly at the camera. There are other kinds of content that are more conversational where you want the audience to join the conversation and listen in. In those cases, you want to have the person on camera looking off camera at somebody else. Usually, this would be an interviewer or another person. Tip 2. Decide where in the frame you want to place your subject. If you’re talking directly to the camera, stand right in the center of the frame. But if we’re having a conversation with somebody that is off camera, in that case, we want to use the rule of thirds to frame a talking head. To follow the rule of thirds, we are going to divide our screen into three vertical sections. If I am talking to somebody who is at the right of the camera, I am going to be placed on the left third. The idea here is that the negative space is always in the direction of the action. In this case, the action is this conversation that we are having. And vice versa: if the person is to the left of the camera, I am going to be placed on the right side of the camera. Tip 3. Mind vertical spacing. Another common mistake in amateur videos is vertical spacing: the idea that the face should be in the center of the frame. That is not correct: the face should always be above. There is way more information happening below the head, e.g., the hands moving, than there is up top. There is nothing going on above the head, so why would we want to waste important real estate in our video to show that? The general rule is to have two fingers (2 inches of space) between the top of the head and the top of the frame. 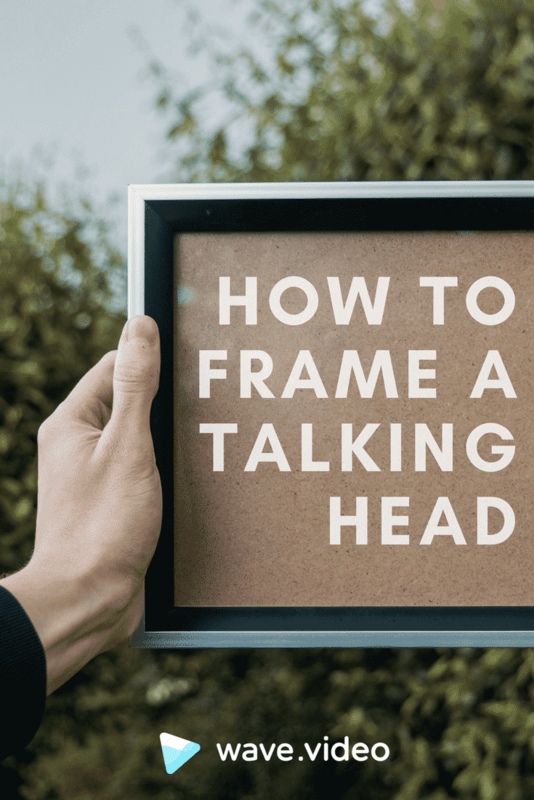 Have these tips helped you to frame a talking head? Share in the comments below!